Use your internship to prepare for a full-time position. While an internship looks good on your resume, that's not the only benefit. It's important to use that time to refine the skills that will prepare you for a full-time position, including those required by your profession and general skills that will help you better manage your time and more effectively relate to your colleagues. If you use your internship as additional training, you'll be a step ahead of other candidates when applying for jobs. An internship is your first opportunity to apply the skills and knowledge you learned in class. Without this real-world experience, you may not know how to translate theory into practice, increasing the time it takes to become accustomed to a professional role. Because employers prefer candidates who have experience, it's crucial that you use your internship to hone the career-related skills you learned in college. Research the required skills for your profession and look for ways to use those skills as an intern. If your job duties include primarily general tasks such as filing or making copies, seek out ways to use what you learned in class. If you're interning at a newspaper, pitch story ideas to your editor so you'll have writing samples to show potential employers. If you're interning at a law office, ask to help the attorneys prepare their cases. College coursework is often a solo assignment. You interact with your peers and your professor during class, and you may also collaborate on projects for your courses or for extracurricular activities and student associations. However, you spend much of your time buried in your textbooks or staring at your computer. In the workforce, though, you spend all day surrounded by your colleagues and supervisors, so it's crucial you know how to interact with others. If you're having a bad day, you can't retreat to your dorm room. Seek out opportunities to collaborate with fellow interns and with employees, and observe how people at the company interact. As a college student, you know at the beginning of the semester what assignments you must complete, what they require and when they're due. This makes organizing and planning your time easier, but it's an advantage you rarely have as a professional. At a full-time job, it's up to you to plan so that you not only meet deadlines but are also prepared for the unexpected, such as last-minute assignments. Instead of simply completing tasks by their deadlines, use your internship to train yourself to manage your time independently, so your supervisor doesn't have to ask for progress reports or remind you of due dates. College courses follow a cut-and-dried format: Your professor gives you assignments and describes exactly what he expects, and you turn in a project or paper that fulfills the guidelines. In the professional world, however, employers may not manage you as closely as your professors did. They'll expect you to contribute your own ideas and suggestions, and will rely on you to complete the assignments they give you without detailed instructions. An internship is your opportunity to demonstrate that you can not only follow directions, you can also contribute ideas that benefit the company. By the time you enter the workforce, you'll understand how to present these ideas to management and how to implement them. 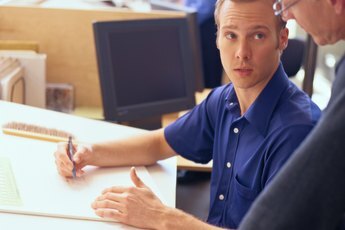 What Should I Give My Boss at the End of an Internship? 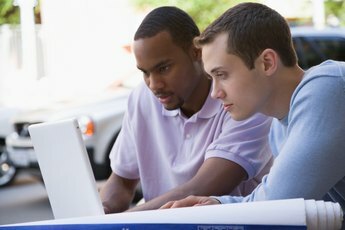 Is an Internship Worth It?